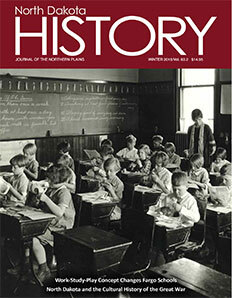 Readers can share in the history and culture of the state and the northern plains through the Society's semiannual historical publication, North Dakota History: Journal of the Northern Plains, which features well-illustrated, fascinating articles by historians and writers. For more information on the issues published since 2005, visit our Recent Issues page. In 2000, a valuable research tool, an index of all articles and reviews that appeared in North Dakota History between 1945 and 1998, was published by the Society. Members of the State Historical Society of North Dakota Foundation receive North Dakota History and Plains Talk as a benefit of membership. Contact the Museum Store for information on current and back issues.